When I think back to when my eldest son was a baby, I’m amazed by all the one-on-one time we spent together. From errands to neighborhood walks to endless hours of sitting and staring into each other’s eyes on the couch, I clocked some serious bonding time with him. But then came son number two and then son three and (sadly) it’s rare for me to get quality one-on-one time with any of my boys. I feel like most of our time is spent rushing to soccer practice or running to the store for a last-minute dinner ingredient. 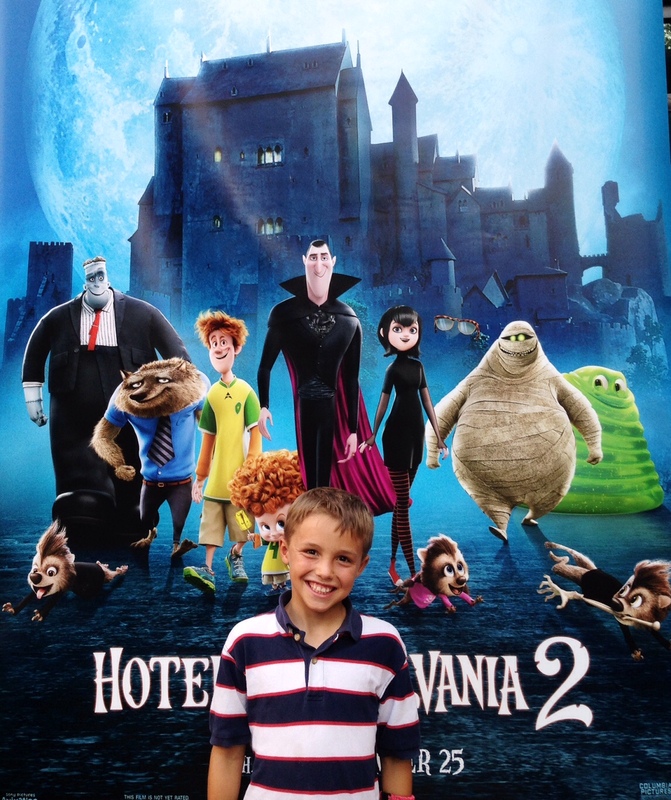 So when I was invited to attend the premier of the new movie, Hotel Transylvania 2, at the Sony Animation lot in Los Angeles, I jumped at the chance to bring my eldest son as my +1! Parenting points for an early preview of a movie I knew he wanted to see (my boys had already watched the preview online a gazillion times!) – plus, much-needed one-on-one time with my first baby. What I didn’t expect was to enjoy the movie so much (it’s a hilarious fall movie pick for the whole family!) — or to discover so many important lessons that apply to parenting. 1. Knowing what is “best” for your kid is hard. As a mom, I’m always weighing different decisions for my three boys. School A or school B? This activity or that? While some decisions are inconsequential, others seem like they will have a big impact on my boys. I remember being in knots about which kindergarten we should send our eldest child to. It felt like the “wrong” decision could send his life down a path we’d regret later on. The problem was we didn’t know which option was best! In the movie, Mavis, too, is weighing a big decision for her family with pros and cons to each side. I felt her struggle! 2. Trust your mama gut, but be willing to be flexible. Worried about the influence of that “wild” buddy your child loves? Certain your daughter would be fast friends with the new neighbor down the street? Think you should get your child’s hearing checked? Mama gut feelings are strong — and worth listening to. I recently had a sense that my eldest son needed some more one-on-one time with me (hence the movie date with mom) and that my middle boy’s frustration with reading was due to attempting to read books too hard for him and that he needed a little intervention. While your gut instinct is important, so is being willing to adjust and change if you find information that nudges you in a different direction. Trust yourself, but also be flexible. In Hotel Transylvania 2, both Drac and Mavis have gut instincts that conflict with each other. They are both doing what they think is best! Ultimately though, they both find a way to be flexible and adjust to find the best solution for the family. 3. Sometimes you have to let go of who you think your kid should be to accept who they really are. Truth be told, my eldest kid was kind of a pain at the premiere. He complained about the traffic on the drive to LA, had to be cajoled into taking photos, and asked incessantly when the movie would start during the pre-party. Despite our smiling photos together, I was actually pretty ticked at him. But the movie reminded me of something important: While we can definitely play a role in helping to shape our kids’ characters, they are born with certain traits that we have to accept. In my eldest boy’s case, it’s that he HATES being late. He doesn’t even want to be on time; he wants to be early! He has explained that when he’s not early, he worries that he won’t feel prepared or know what’s going on, and his perfectionist nature wants to be on top of things. This is a wonderful trait and I’m sure his future boss will appreciate it, but it can be tricky for a family of five to pull off. So when I had told him the movie started at 6 and in fact it didn’t actually end up starting closer to 7, he was worried that we were missing something (we weren’t). 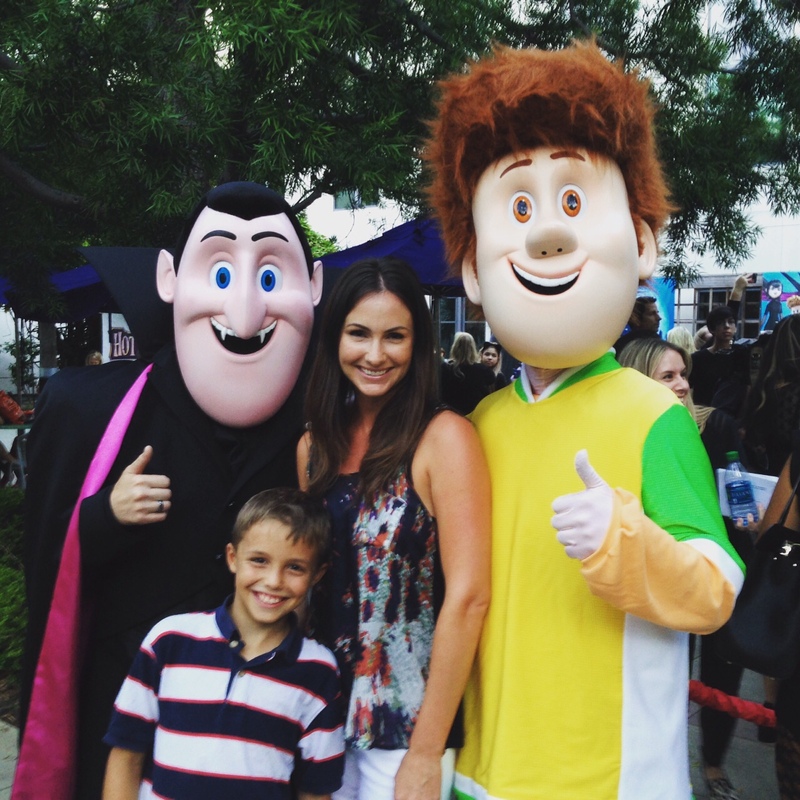 In Hotel Transylvania 2, Drac has a deep desire to change one aspect of who his grandson is and spends a great deal of the movie trying to (quite humorously) accomplish this. In the end though, he comes to realize that he has to accept who his grandson is. A timely message for me, too. Well played, movie. 4. Laughter really IS the best medicine. I am a strong believer in the power of funny, and after getting a bit irked with my boy at the premier, a funny flick was just what we needed to dissolve the tension and reconnect us. We both laughed our way through Hotel Transylvania 2, giggling at the shenanigans of Frank, Murray, and Wayne trying to remember how to be scary, Blobby’s ride on the sidecar through the forest, and Drac trying to teach Dennis to fly. By the car ride home, we were able to laugh about me trying to trick my son into getting into pictures all night. Even though we were tired, we were together and laughing, full on funny. 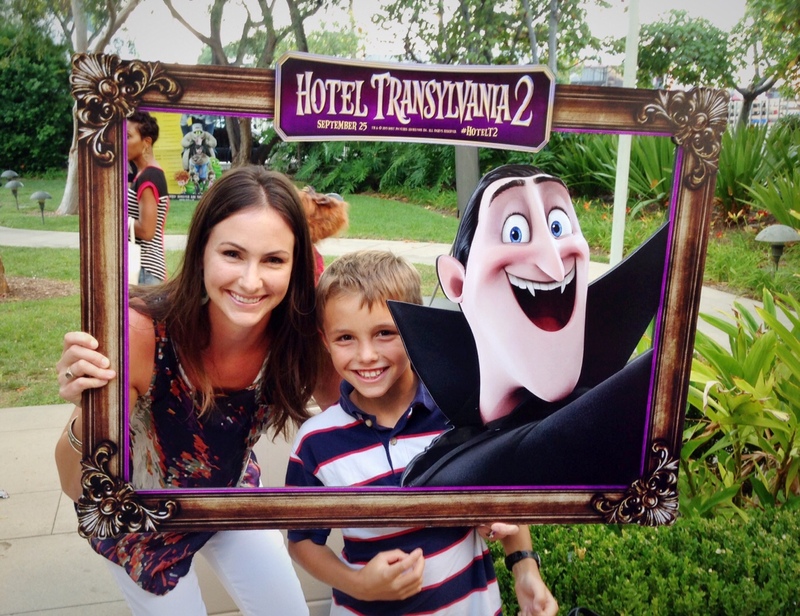 Whether you’re looking for some parenting inspiration or just a fun family night out at the movies, Hotel Transylvania 2 will hit the spot. Out Friday, September 25! *This post is sponsored by Sony Entertainment. Thoughts and opinions are my own. 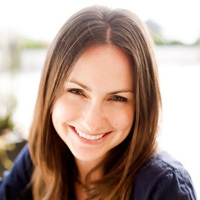 Kate Bayless is a Southern California-based writer and editor with a decade of bylines at iVillage, Babble, Momtrends, and Family Travel Diary as well as glossies like Parents, American Baby, and Fit Pregnancy. She writes regularly about life, family, beauty, travel, health, and more. A mother of three boys under 8, she relishes the small joys in life -- drinking coffee while it's actually still hot, a clean sink, having a reason to wear high heels, beating her husband in Words With Friends, a glass of wine with girlfriends, and travels with the family. See more Kate on Twitter, LinkedIn, and Contently.